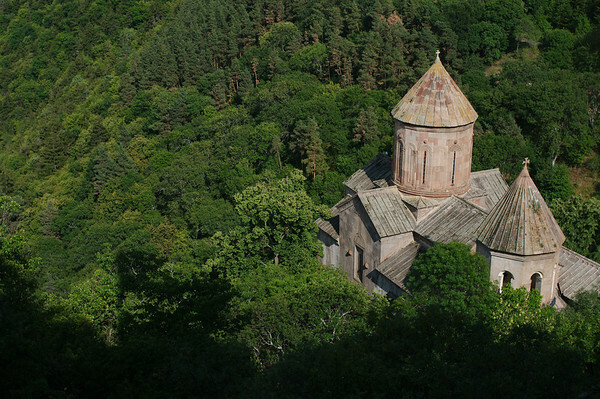 We scheduled two days of rest in Akhaltsikhe to recover from our climb over the mountains from Batumi, but also because we wanted to visit some of Georgia's tourist attractions in the area. 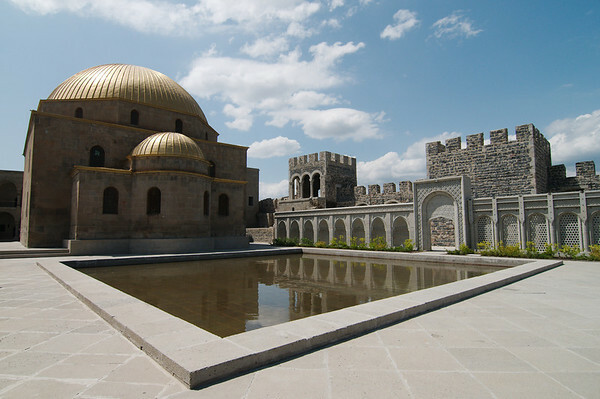 We didn't end up getting much rest in Akhaltsikhe because as usual we packed our schedule with activities. 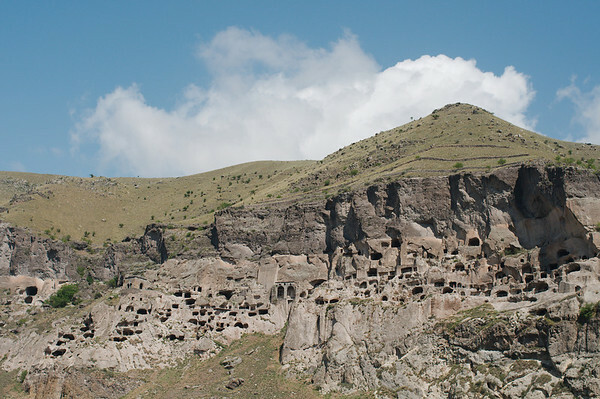 On our second day visited Vardzia, a 12th century cave monastery, carved out of a mountainside along the Mtkvari River (Georgia's longest river). 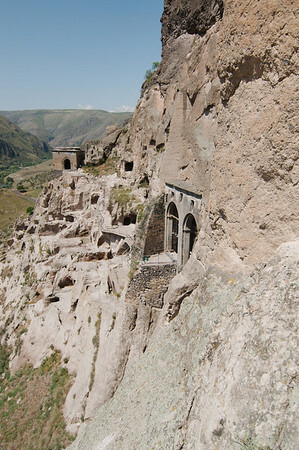 Vardzia is 60km from Akhaltsikhe and is the area's most well-known tourist attraction. 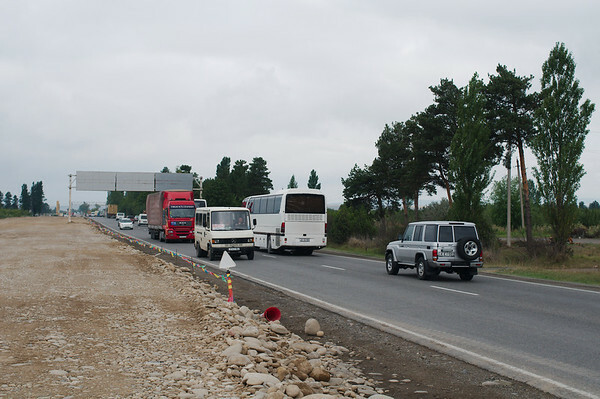 In the morning we made our way to the bus station to find the daily mini-bus to Vardzia. In the parking lot of the bus station, we were approached by a driver who offered to take us there and back. The price we were quoted for the private car was about twice that of public transportation. I was feeling unenthusiastic about having to endure motion sickness (I had packed a few plastic bags for the road) and the idea of taxi was very appealing. Yann was really not into the idea of a taxi but he went along with it. Right before setting off, a few taxi drivers approached our driver and began yelling at him. From what we understood, he was undercutting the others and they weren't very happy. He may not have been part of the official Vardzia taxi cartel. 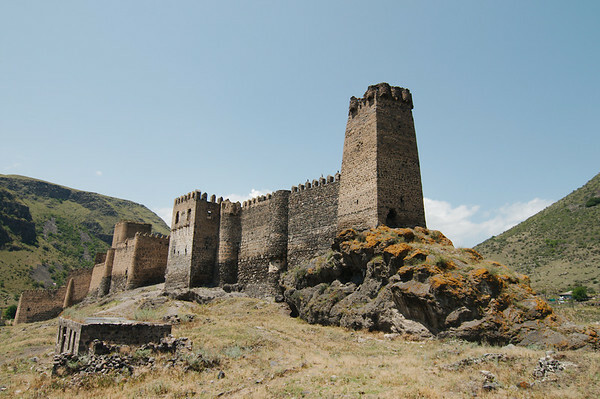 It wasn't clear to us what was going on, but in the end it appeared that another driver was next in line for the overpriced tourist drive to Vardzia. Our original driver did not put up much resistance when we were escorted to another taxi, so we assumed that by going with a new driver we were respecting the laws of the parking lot. We were charged more of course. 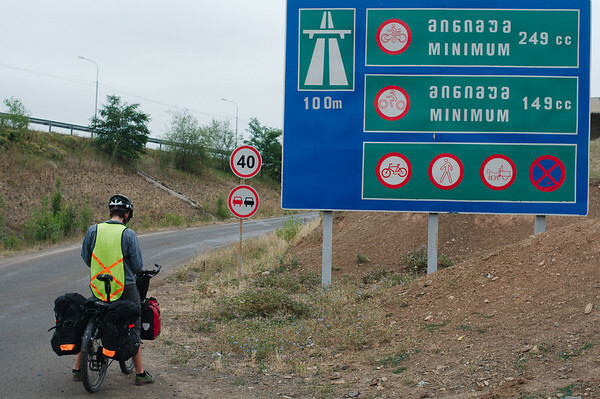 From Akhaltsikhe we got back on our bikes for a short 50km ride to Borjomi, a town famous as the source of Georgia's carbonated mineral water of the same name. As we weren't visiting the nearby national park, there wasn't a tremendous amount of things to do, other than drink water from the source: a warm, fizzy, salty, eggy gag-inducing delight. The water is thought to have healing properties which is why Yann and I drank a full mouthful each. 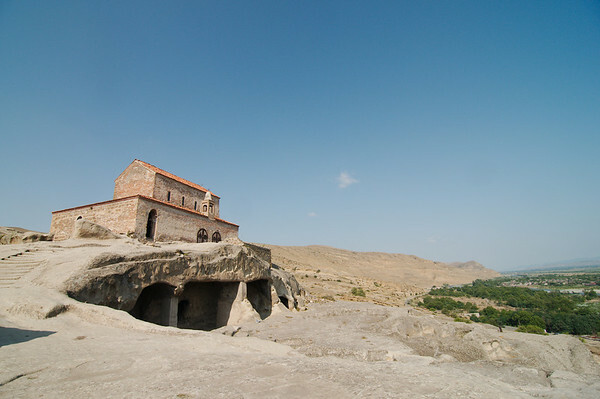 Gori is most famous as the birthplace of Iosef Jughashvili, later known as Joseph Stalin. Stalin continues to hold national hero status in his hometown whose largest thoroughfare is known as Stalin avenue. 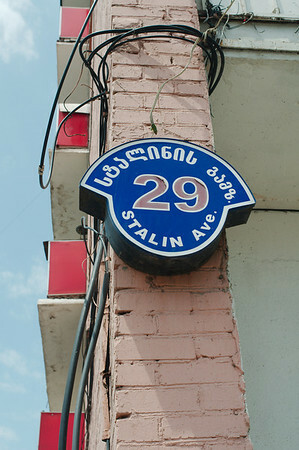 Gori's affection for Stalin seems to be one of the reasons that the city is such a draw for foreign tourists. The city is home to the Stalin Museum, mainly a collection of photos of the former leader. In front of the museum is the house where Stalin is said to have been born and raised. 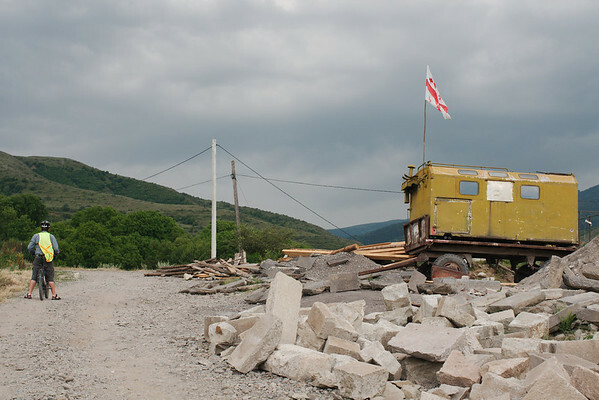 We didn't take a rest day in Gori, so we visited all the “Stalin sights” soon after arriving in the city.